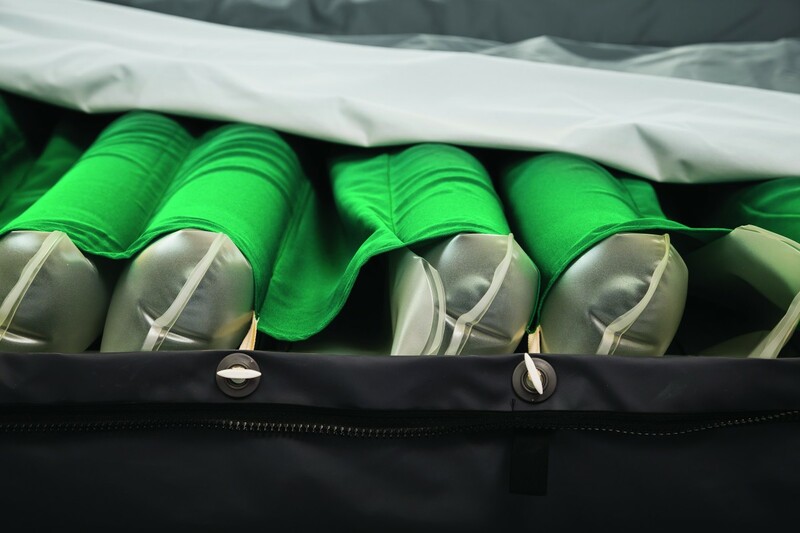 NoDec® BARI is an automatic, high performance 3 cell-cycle alternating pressure air mattress recommended for the prevention of pressure injury in bariatric patients at any risk of pressure injury, as well as for the treatment of patients with established pressure injuries. NoDec® BARI provides pressure elimination therapy using Airwave Technology to mechanically replicate the body’s natural movement in response to unrelieved pressure. A high flow solenoid array and vacuum assisted deflation quickly reduces interface pressures over the off-loaded cells. 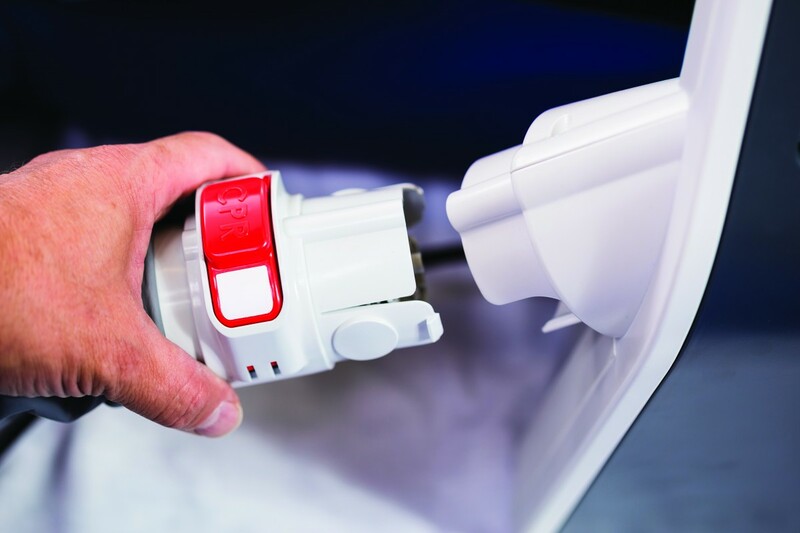 The complete elimination of interface pressure stimulates reactive hyperaemia in the deep tissues surrounding the vulnerable bony prominences promoting blood and lymph flow to maintain tissue viability in bed confined bariatric patients weighing up to 400 kg. 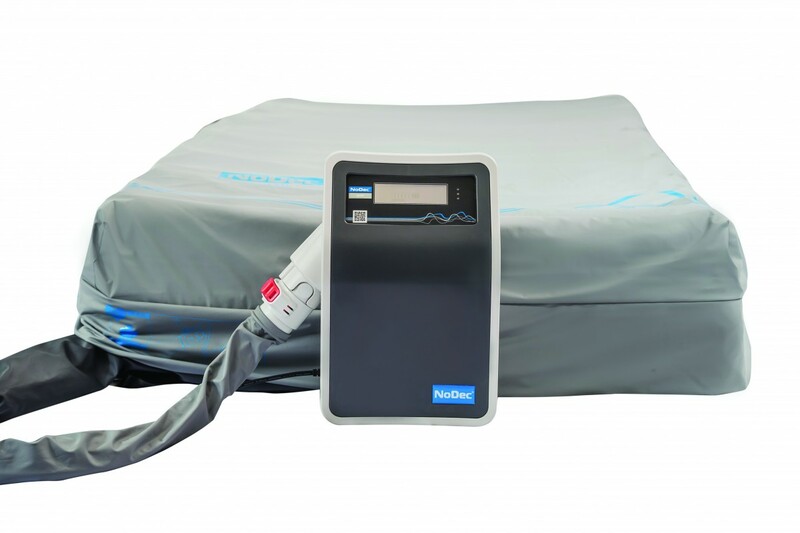 The NoDec® BARI mattress has 20 arrow shaped air-cells placed transversely with two reinforced, permanently inflated cells running lengthwise at the edges to protect against patient falls and assist when transferring from bed to chair. A retaining system holds the cells in fixed position beneath the body so that during deflation contact pressure is removed from exactly the same site it had been applied when the cells were inflated. With a 15 minute cycle time, patients nursed on NoDec® BARI are effectively turned 4 times per hour and therefore the requirement for nursing staff to reposition heavy patients is significantly reduced. The maximum patient weight is determined by the width of the mattress. NoDec® BARI is available in three widths: 900mm to support up to a 280kg patient; 1000mm up to a 330kg patient; 1200mm up to a 400kg patient.